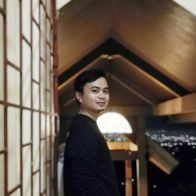 It was a queer Friday night glancing at my watch while waiting for a newfound friend who was searching for a distinct place to dine in Cebu City. 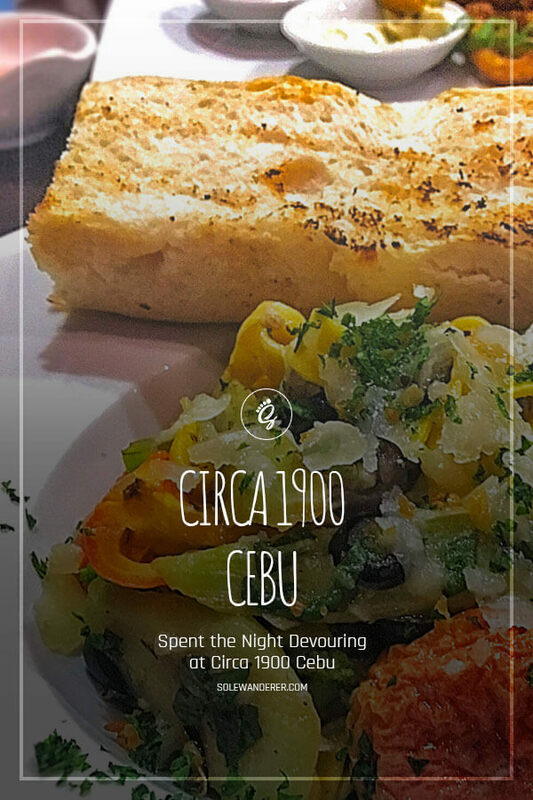 After few suggestions, I gave a nod to dine at Circa 1900. The ancestral house Circa 1900 was built in a colonial style restored into a restaurant, lifestyle and leisure destination located in Sanjercasvil Road, Gorordo Avenue, Lahug, Cebu City. Circa 1900 Casa Uno was opened on March 2014 by Executive Chef Steve (an Australian-born chef) and his wife/business partner, Eya Shrimski. 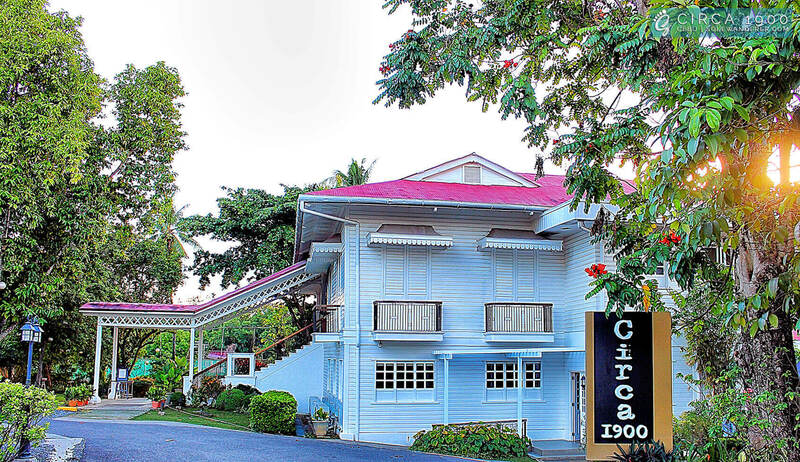 Originally owned by the Castillo family, Circa 1900 Casa Uno is a dining destination known not only for its cuisine but also for the offered experience of the history and culture of Cebu. In July 2016, Circa 1900 Casa Dos has opened: The ancestral house of the Jereza Family located just across Casa Uno. Circa 1900 Casa Dos includes Cicada, a tapas bar featuring alfresco casual dining and function space complete with a swimming pool. Cicada Tapas and Bar is a speak-easy of sorts inside a turn-of-the-century house. Cicada serves casual comfort food for lunch and in-between meals as well as tapas and pre or post-dinner drinks. Adjacent to Cicada is The Noshery: a pastry and bakery as well as an air-conditioned pastry workshop. The swimming pool offers an option to dip and dine for Php 500.00, with Php 300.00 consumable for food and drinks — Cicada now a destination for dining, leisure, and lifestyle. Social functions such as weddings and birthday parties made all the more unique make this a must visit, dining, lifestyle, and leisure destination in Cebu. You may visit their website and contact them at: (032) 239 6265 or 0923 279 5616. WHAT TO EXPECT WITH CIRCA 1900? Since we’re walk-ins, a lady standing outside Casa Uno welcomed us with the warmest smile and pointed to a parking space fronting Casa Uno. Good thing there’s an accessible parking space in the area and it was as easy as pie to admire the place that is surrounded with green spacious lawns. After we stepped out of the car, the lady ushered us to the entrance of Casa Uno ancestral house. As we entered the room, we noticed that the interior is indeed sweet and homey. It’s a bit surprising how the chairs, tables, floorings, paintings, and other stuff are being preserved which contributes to the idyllic setting of the place. So we found a place for two near the piano bar and I sensed that the night was quite boisterous with a number of guests chattering and the singing from the background. Anyway, let’s sit back and relax. So here’s their menu. They got choices for sauce too. Spicy Black Pepper Sauce, Creamy Diane Herb Sauce, Roast Garlic Sauce.